With a vast array of computer-controlled settings and a “smart” motor, the Voyager 18″ drill press from NOVA/Teknatool will certainly appeal to the technology geeks among us. And while I’m a bit of a Luddite when it comes to machinery, this drill press is undeniably cool. I tried valiantly to make it stall by drilling a 11⁄2″-deep hole with a 2″ Forstner bit in hard maple, white oak and ash, and it powered through (at even speed) – though we did stall it once drilling at an angle into a particularly wet piece of stock during a chair build. 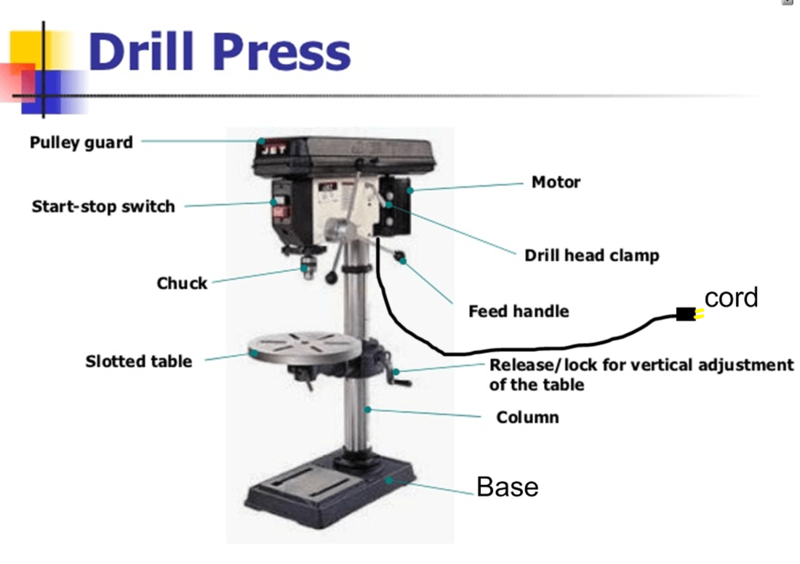 An on-board computer controls just about everything on this drill press and makes it easy (once you learn to program it) to set the proper speed for various bits and materials. Select your chosen bit icon from 12 different types (including twist bits, countersinks, Forstners, spade bits and more), select the bit size (up to 4″ on Forstners – and you can toggle from Imperial to metric), then select “hardwood” or “softwood” from the digital display. Confirm (or override) the suggested bit speed, and save the settings. Or you can manually set the quill speed in tiny increments. You can set the bit depth (up to a 6″ quill travel) with a traditional post-and-jam-nut arrangement, or set the computer to stop the cut at your preferred depth (in increments of 500ths of an inch). Lower the bit to touch the work, then zero the quill depth. Save the settings. The bit will stop cold when it reaches your chosen depth (and beep to notify that you’re approaching bottom). So, it’s easy to drill repeat holes of a particular depth (say for shelf pins) without having to worry about jam nuts moving on you. In testing this function, however, two times on the second hole, the computer overrode the setting. I think it was a momentary glitch (or perhaps a glitch in the pre-production model we’re using), but I was glad I’d set the post stop in those instances. Also, when using a Forstner bit with this function, you’re left with a little flag of material in the bottom of a stopped hole – but that’s easy enough to clean out. There are additional computer-controlled features including soft start, a thread-tapping mode and four function keys on which to save your most-used settings. The drill press was easy to set up out of the box (all the necessary tools are included); we had it up and running in less than a half-hour (quicker than I was able to figure out the settings). Some quibbles: While I like this machine’s secure keyed chuck, there’s no on-board storage for the chuck key; that’s mildly annoying. There’s also no laser (this is the only machine on which I like one), and the 161⁄2″ square cast iron table is a bit small for woodworking, though there is enough flat surface underneath for secure clamping (I’ll add a table with a fence and T-track for hold-downs).